On Wednesday we took the train from Puerto to Sevilla. It was a little less than an hour. 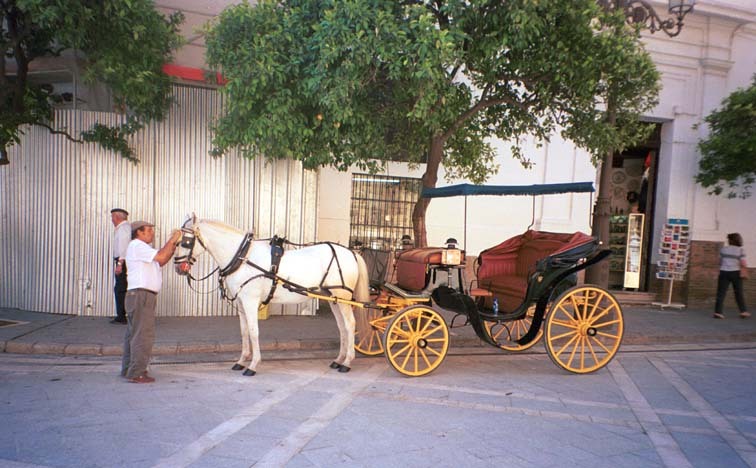 Sevilla dates back to Roman times, when two emperors were born here. It was a Moorish capitol and when conquered by the Catholic monarchs they built a huge cathedral. The Alcázar Palace housed the royal family until the Moorish Expulsion in 1492 led Ferdinand and Isabella to move the capitol to Madrid. Sevilla is the sister city of Kansas City, Missouri. Right outside the train station is Avenida Kansas City. This is the Plaza del Triunfo, approaching the Great Cathedral and the Alcázar Palace. 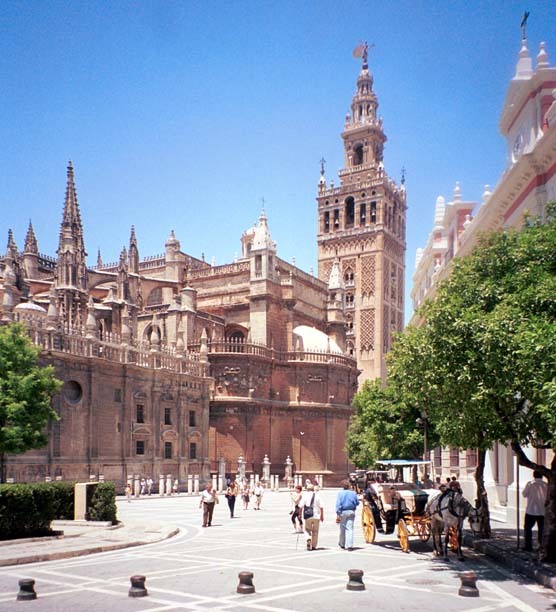 Ahead is the Giralda Tower of the Cathedral. The Giralda Tower in the Country Club Plaza in Kansas City, Missouri is a replica of this tower, at about 1/2 the height. This carriage was available for hire.